A President’s Book Awards winner of 2 silver medals from the Florida Authors and Publishers Association. Have you ever published a book and then had no idea how to market and promote it? Most authors only sell a handful of copies, often to family and friends. Are you one of them? Help is at hand! This do-it-yourself guide walks you through 25 ways that you can market and promote your book yourself. It goes beyond the “Lemonade Lucy Stands” and gives you proven, actionable tools and advice that you can start using today. These are the methods that I use every day with my clients. Even if you only implement a fraction of the suggestions yourself, it may spark other ideas for you or help you maximize the effect of your marketing budget. If you are already an established author, you know you need to be your own biggest advocate. This means learning why social media, blogging, interviews and other platform-building activities are important to you and how to leverage them to your benefit. It also means looking beyond the traditional bookstores and online retailers to find potential buyers. 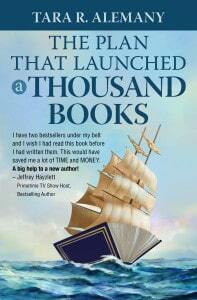 The Plan that Launched a Thousand Books provides valuable insights and commentary that you can use to introduce your book to prospective readers. The solution to your problem is right here before you.